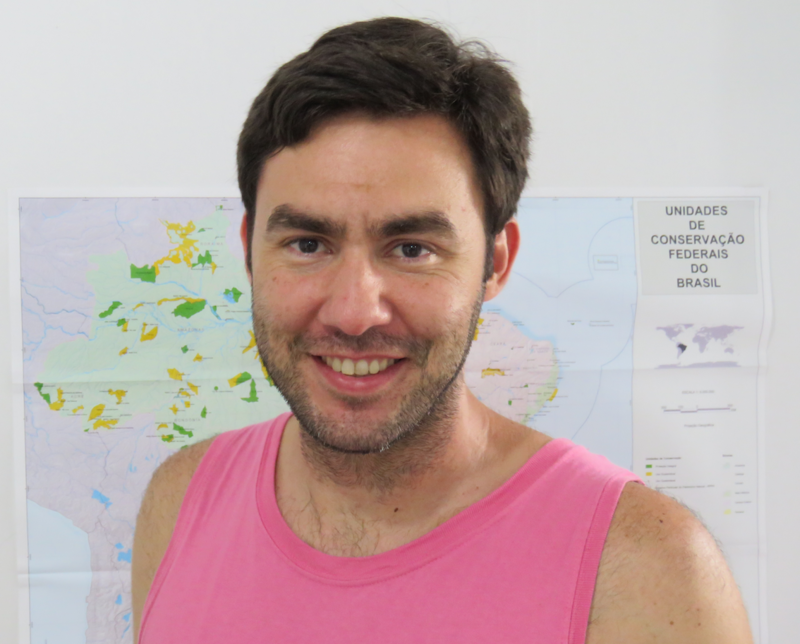 Leopoldo C. Gerhardinger holds a Ph.D. in Environment and Society at the Centre for Environmental Studies (NEPAM), University of Campinas (UNICAMP) in Brazil, a M.Sc. in Conservation (University College London – 2008) and a B.Sc. in Oceanography (Universidade do Vale do Itajaí, Santa Catarina, Brazil – 2004). Leopoldo is primarily involved in investigating, building and promoting multi-level knowledge networks, using web-based social media tools and cross-disciplinary facilitation approaches to advance new types of voluntary engagement for improved governability of emerging oceans issues. In the upcoming years, he will be particularly involved in helping to shape a more collaborative and inclusive marine spatial planning agenda for Brazil. I’ve been investigating and acting to support the sustainability of fishers' territories for over fifteen years in various places along the Brazilian coastline. In addition to my participation in the TBTI network, I am also an Associate Member of the International Collective in Support of Fishworkers (ICSF) and; the Brazilian Artisanal Fisheries Web (TeiaPesca), an emerging network of networks of fishers and fisheries researchers/extensionists that is currently supporting the implementation of the SSF Guidelines in the country (see Vital Fisheries report and video). My academic work includes the co-authorship of 23 research papers, 12 books or book chapters and 12 technical reports on topics ranging from marine ecology and ethnoecology to, most recently, ocean governance and knowledge networks. For me, the most important factor of successful fisheries is the direct participation of fishers’ in policy arenas, otherwise even the definition of what is to be a small-scale fisher (identity) and what should sustainable fishing territories look like will be imposed on them by other actors, as it has most often been the case. This includes the gradual uptake of the international SSF Guidelines’ rationale by all fishers’ and general public, and the empowered translation of its holistic and human rights based approach in shaping the future of sustainable territorial identities.